To reach outstanding accuracy, the instruments are tracked directly at the tip. Therefore, bending of needles or other slightly flexible instruments will not affect the precision of the navigation. 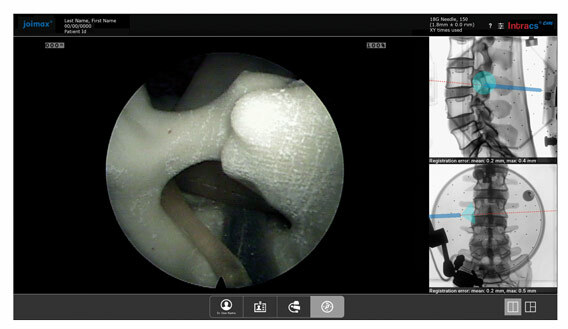 Intracs® em Navigation System can be integrated in the joimax® Endoscopic Tower or used as a stand-alone solution. Existing installations can be easily upgraded. The high-quality medical grade PC with 22“ touch display is completely sealed and therefore easy to clean or disinfect. 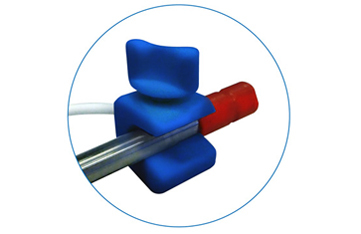 The Intracs® em Field Generator is integrated into the Intracs® em Table Pad, being placed directly onto the OR table or mounted onto the especially designed Intracs® em Holding Arm. 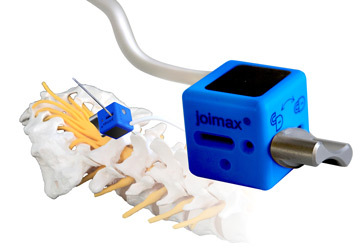 Most of the joimax® instruments are navigated with highest accuracy through various Intracs® em sensors. 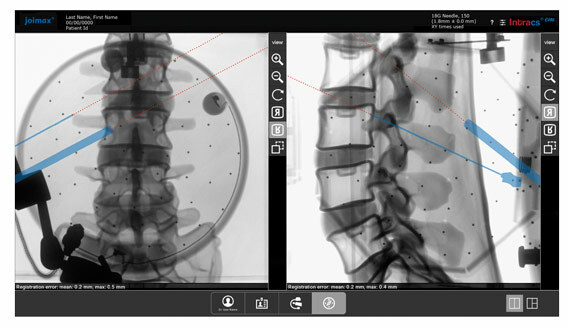 As a result, the procedure can be carried out without constant X-ray control. Intervention time and radiation dose will be drastically reduced. 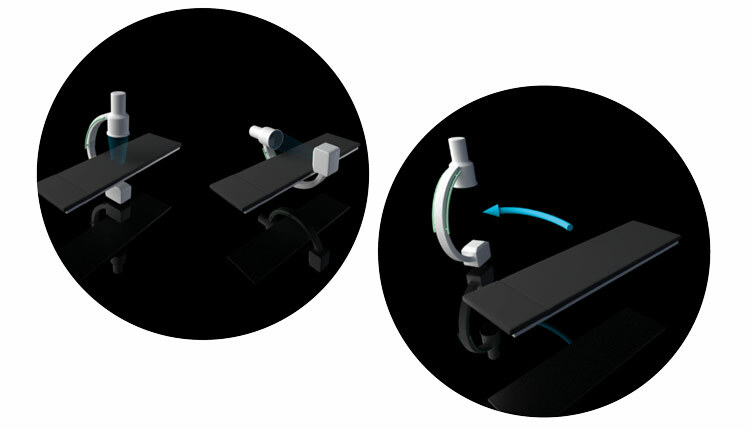 The Patient Mapper allows the registration of the real patient anatomy into the virtual environment of the navigation system, regardless of the C-arm model. The position of the patient can be determined at any time via the Patient Tracker. 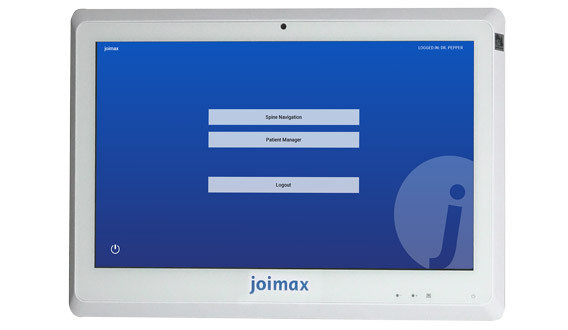 In addition, the Patient Tracker allows selection and registration of instruments within the sterile environment. 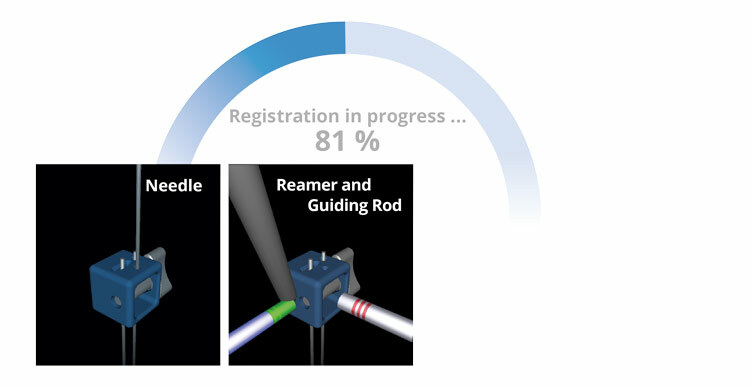 The instrument registration takes place automatically within the sterile patient environment. All steps are carefully described and monitored. The navigated instruments, such as a needle or endoscope, are detected automatically and registered without any additional tools.